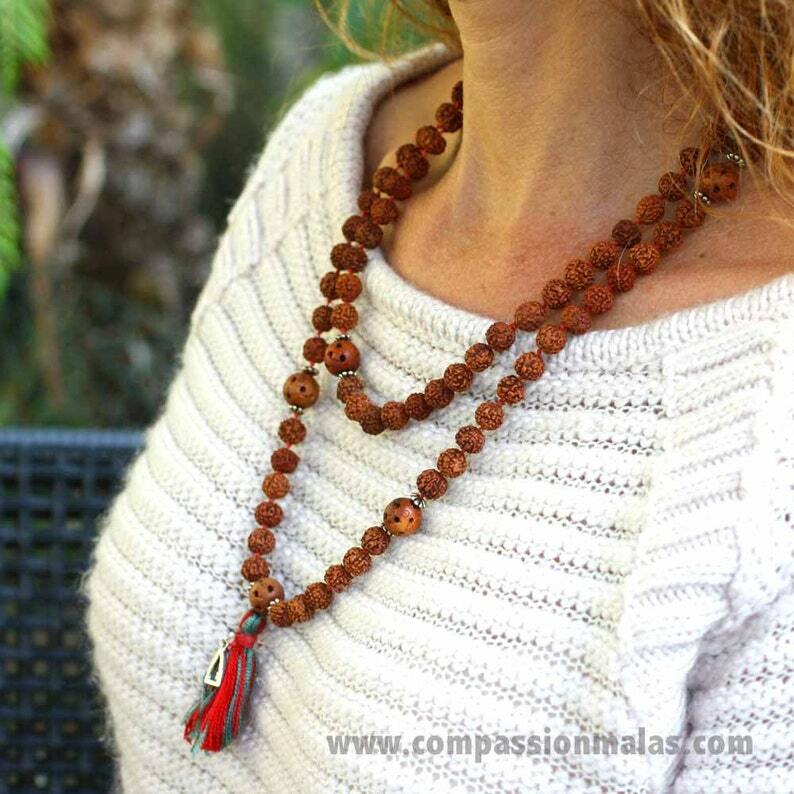 This handknotted rudraksha Buddhist mala has a small silver plated bronze Buddha attached to the handmade silk tassel. 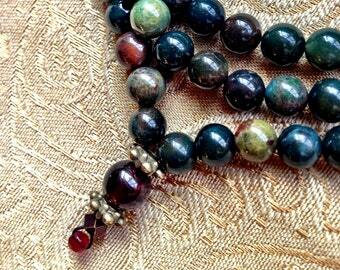 Pewter spacers surround the carved datewood marker beads. 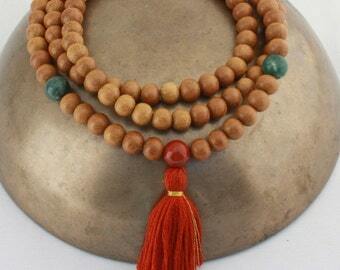 On average sized women, this long mala can be worn on the wrist loosely or doubled around the neck. 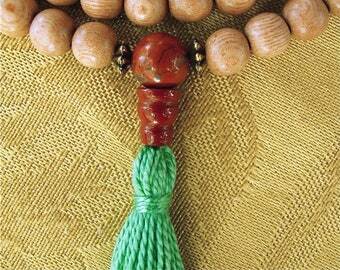 I strung it to last with love and prayer in each knot. The tassel is intentionally a bit wild and free. 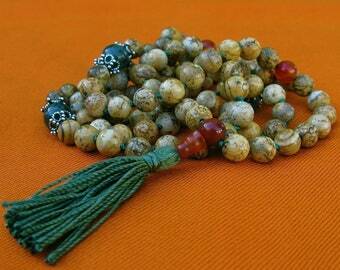 Comes with a letter about materials and malas. Your order will be packaged in a gift box. Buddha is about 1/2 by 1/4 inch.